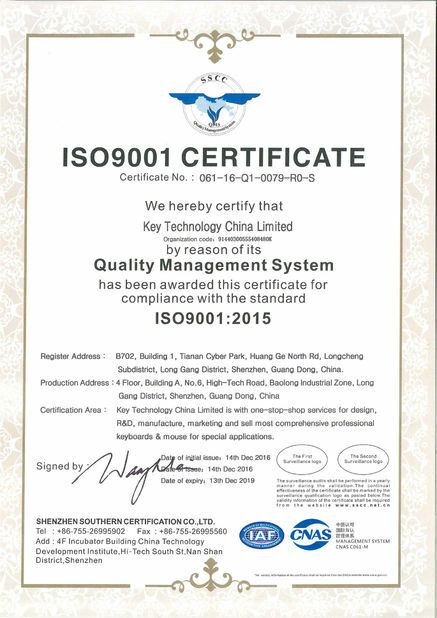 Your professionalism and loyalty is unparalleled.We are proud to maintain a partnership with Key technology and we want to express our satisfaction. Die Geschäftsbeziehung zwischen uns und Key Technologie ist lange gewachsen und wir freuen uns auf weitere gute und erfolgreiche Jahre. 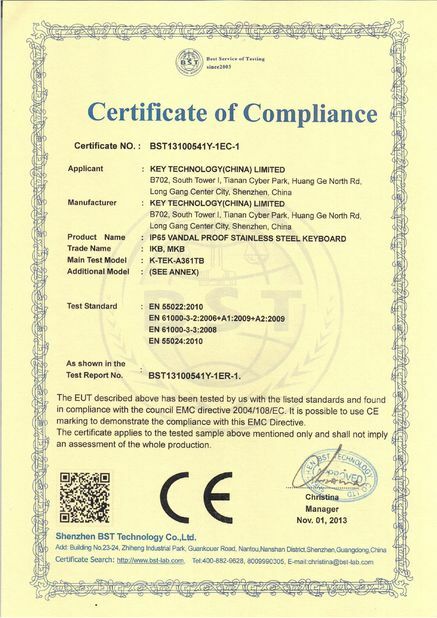 DESCRIPTION: 89 keys IP65 dynamic sealed and ruggedized industrial silicone rubber Hygienic keyboard with full keyboard functionalities with sealed and ruggedized tough touchpad for fast and accurate cursor position, with industrial PCB with carbon-on-gold key switch technology with long stroke (1.50mm) with extremely good tactile feeling for fast and accurate data input without any noise, with durable coating & antimicrobial keyboard surface withstand to most chemicals and liquids under harsh environment, FN + Clean key to lock/disable the keyboard for easy cleaning without needing to take the keyboard from PC, top panel mounted with optional stainless steel back plate sealed with top ruggedized industrial silicone cover & industrial PCB for ruggedized structure and easy mounting and sealing, stainless steel housing protects the electronics controller. Adjustable industrial backlight included, military level. 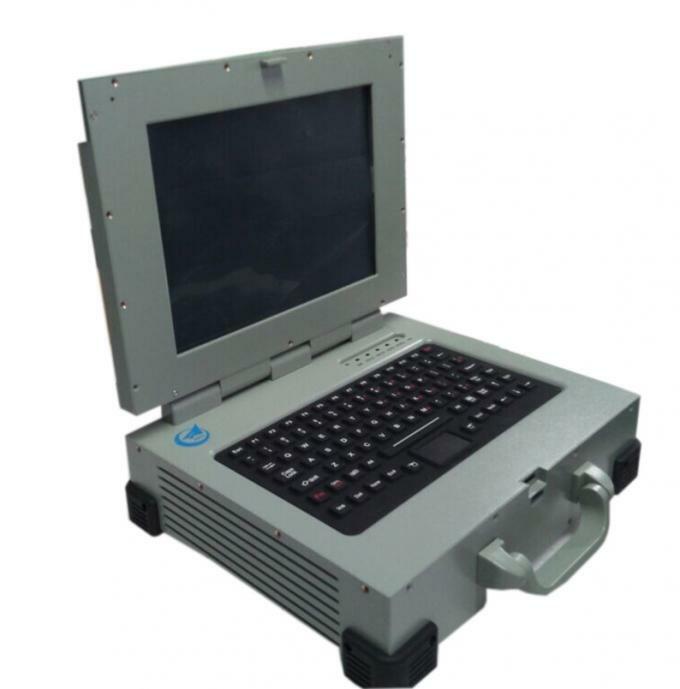 China Good Quality Ruggedized Keyboard Supplier. 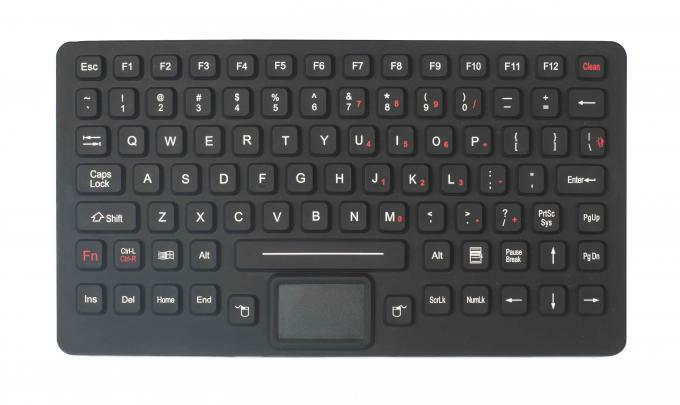 Copyright © 2015 - 2019 ruggedized-keyboard.com. All Rights Reserved.